I write this post from my very warm bed as I listen to the rain pounding against my window and dread the thought of getting dressed and facing another day in horrible January. It's so annoying, we count down Christmas for months, everything we do after Halloween is in one way or another to prepare for the festive season. Eating a little healthier to fit into the 'party dress', looking out for the perfect presents for friends and family, trawling shops and the Internet for the perfect 'Christmas Day' outfit, and the dress to silence all others, the New Years Eve dress. For me, it was no different. I love Christmas. I love counting down the days as early as September. It only comes once a year and you have to make the most of it! 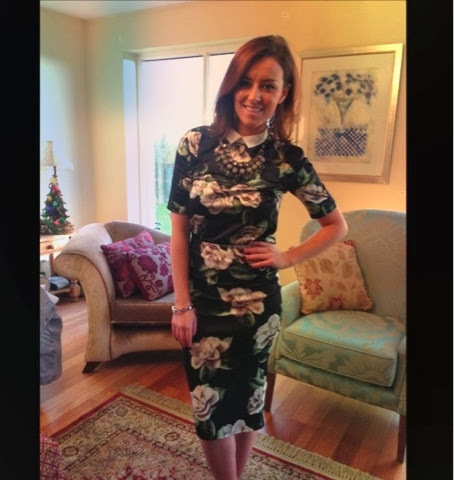 This Christmas was a little different to others I have previously celebrated; they usually consist of plenty of nights out followed by long and painful hangovers; this year, however, I didn't go out much at all. I spent most of the Christmas indoors in my pjs watching movies with my mum and sisters and I wouldn't change it in a heartbeat! 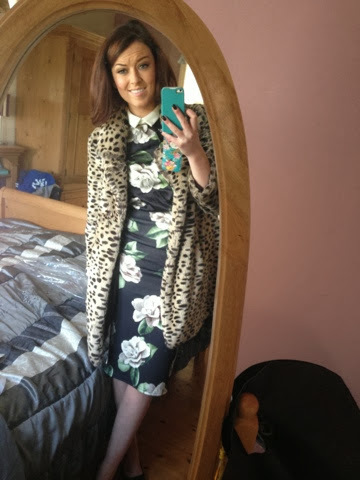 I did however manage to squeeze in a few outfits which I am about to show you here! Sorry, I know my legs/feet look rotten here! I love this outfit. I really had no idea what I was going to wear and this was literally chosen very randomly in about 10 minutes! I think this is my favorite purchase over christmas. 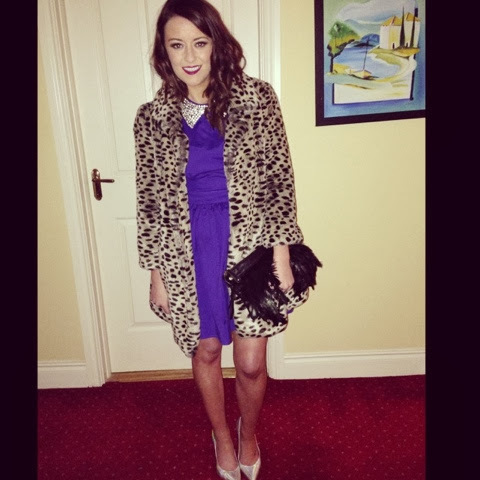 I have been looking for a black fur coat for years that was both affordable and good quality. I spotted this one in Choice in Shaws and fell in love with it. I waited to see if it would go on se and it didn't but I loved it so much that i bought it anyway! They could still have some in there, €60. I love the bomber style of it! I was extremely hungover taking these pictures.. 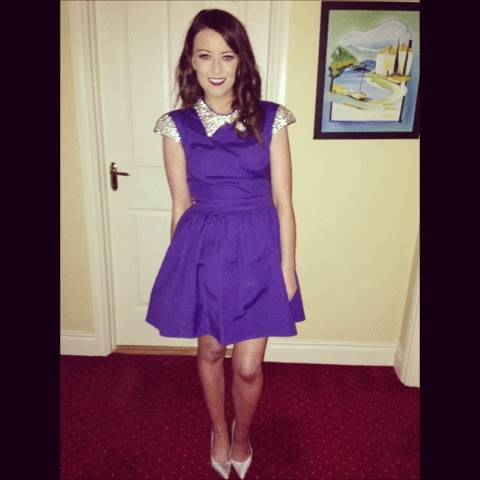 This is the outfit I wore to my baby cousin Sadhbh's christening. As you probably know by now I am somewhat obsessed with Carrie Bradshaw so when I spotted this tulle skirt on eBay I fell in love! It took about two months to arrive but when it did I was delighted with the quality! 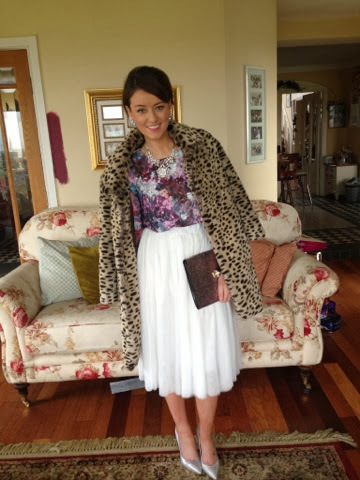 I paired it with a H&m top Topshop heels again, and a sequin clutch from Penneys. After that I stayed quiet enough until NYE. I had planned on wearing a totally different outfit but after a week of non stop eating the dress wasn't a nice fit on me and I wasn't prepared to out down the Pringles until January. So I pulled out one of my favorite party dresses I got on ASOS two years ago. 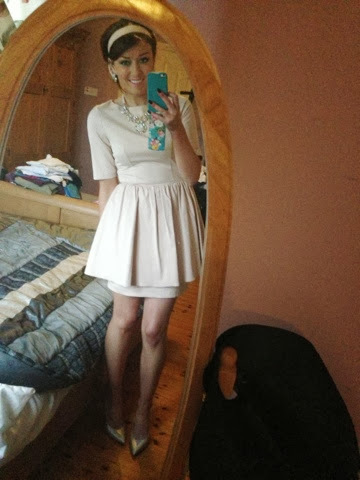 It's so girly and fun I love wearing it so much! 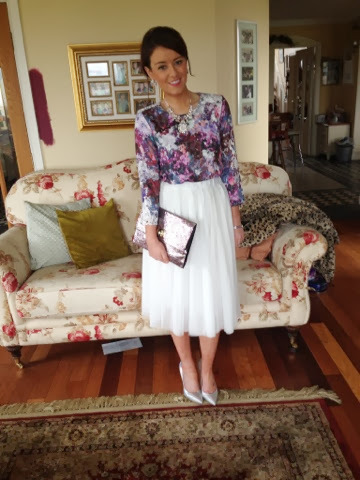 I wore two tulle mini skirts under it to make it more puffy and off I went! 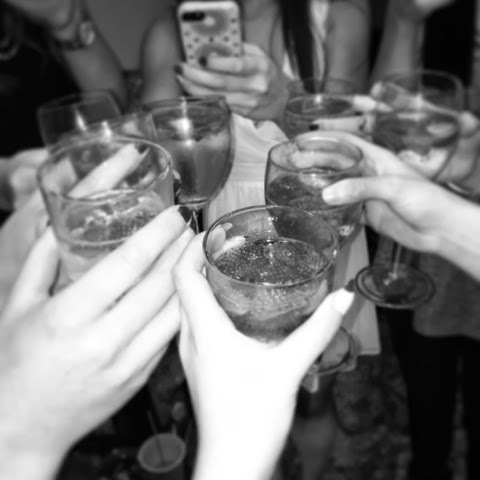 We had such a great night in with the girls, it was the best New Years I've had in a long time! 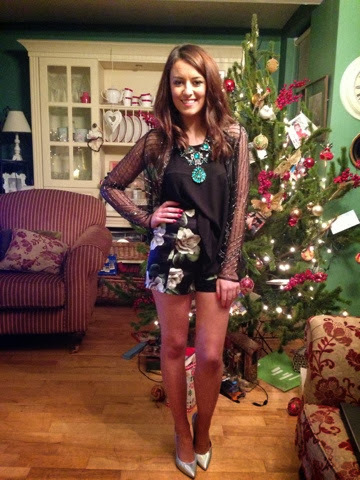 So that's it, all of my Christmas outfits in one very drawn out, long winded post!